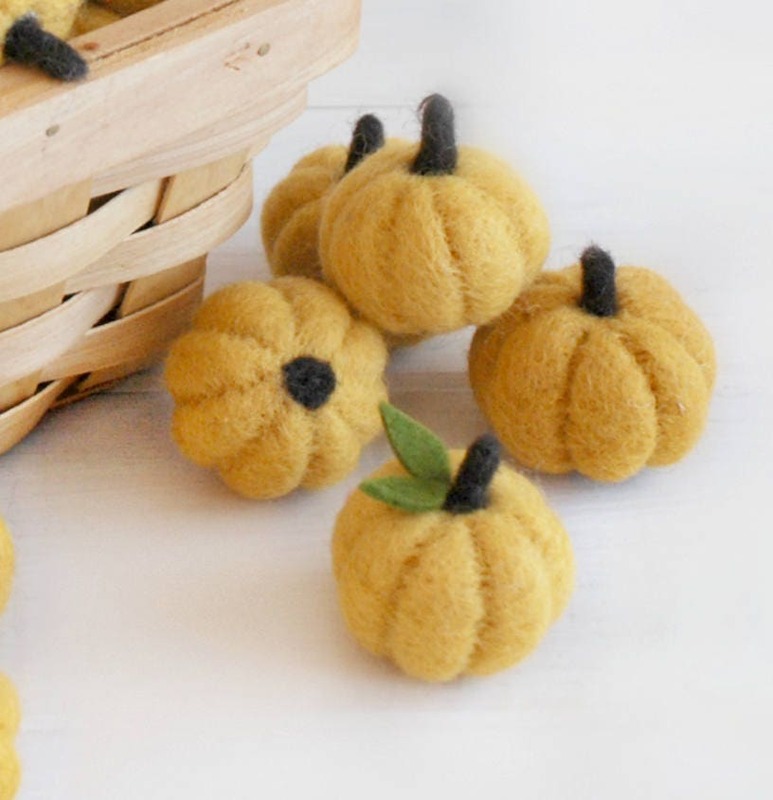 How cute are these little pumpkins? 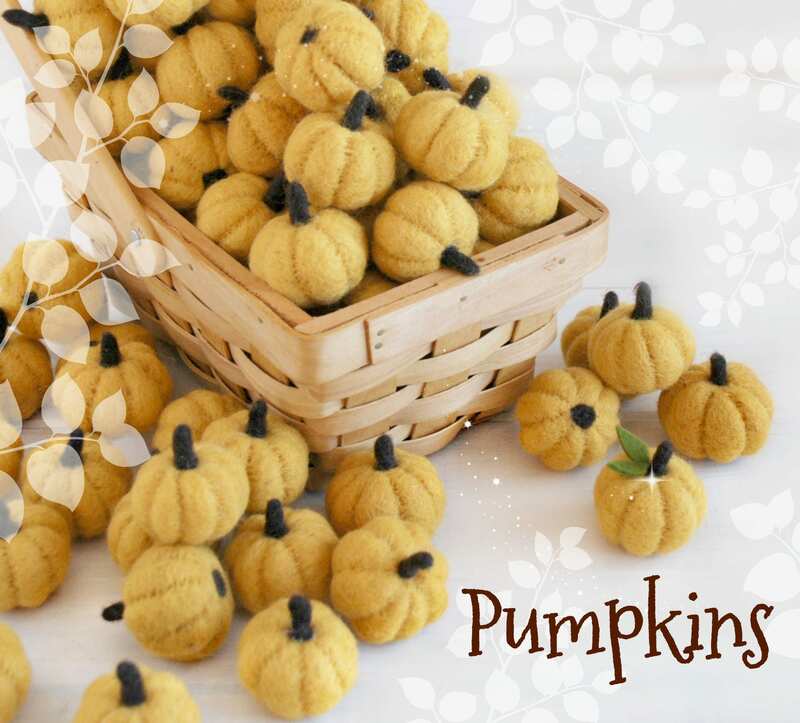 Perfect for Halloween and Fall Decor!! 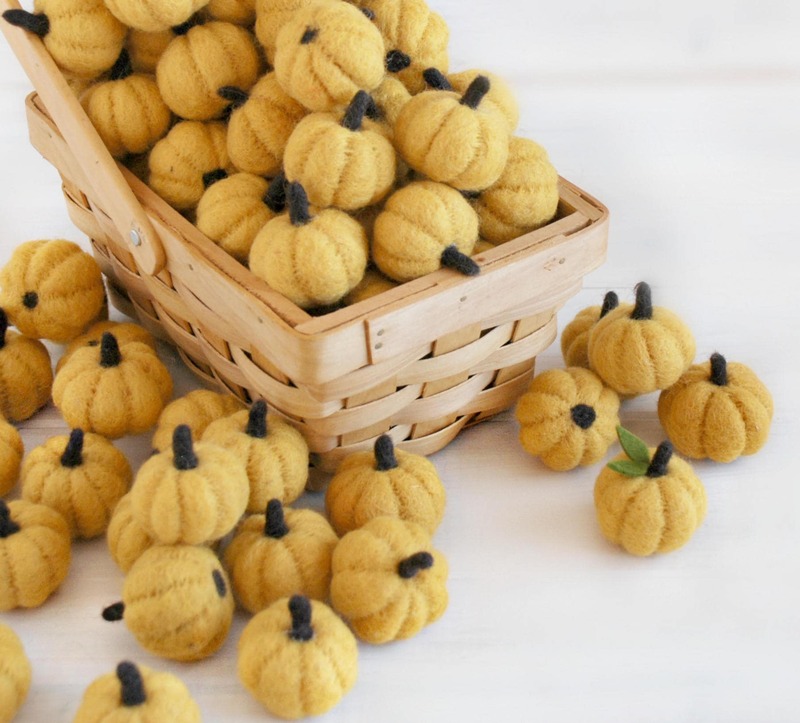 Add it to party hats, napkin holders, garlands, wreaths, flower arrangements or make them into cute little ornaments, key-chains, necklace etc! 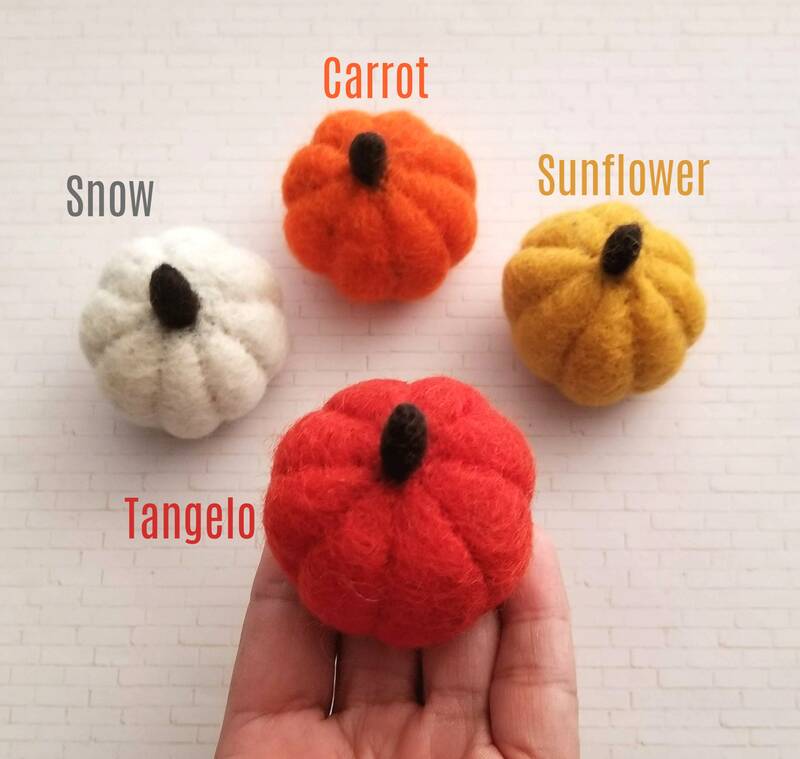 Mix Colors include only Sunflower and Tangelo as Snow and Carrot are out of stock! 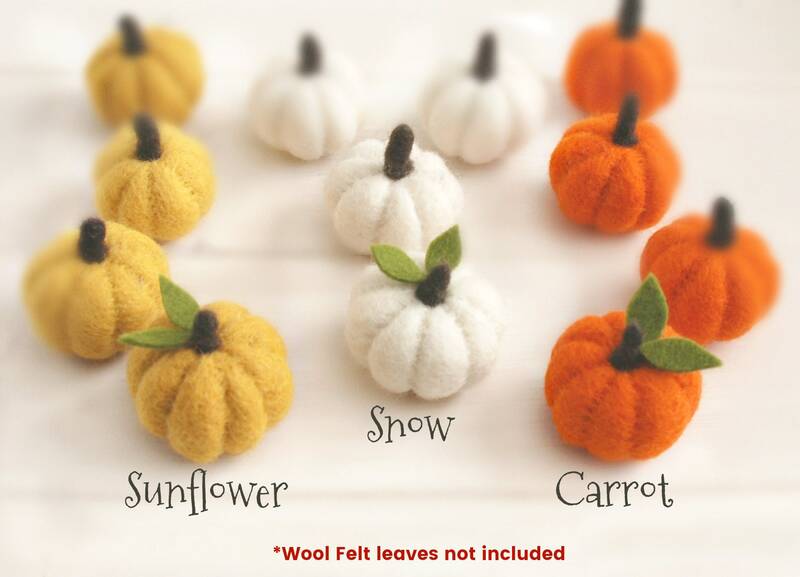 These lovely felt pumpkins are 100% Handmade in Nepal and are dye with Azo-free dyes. 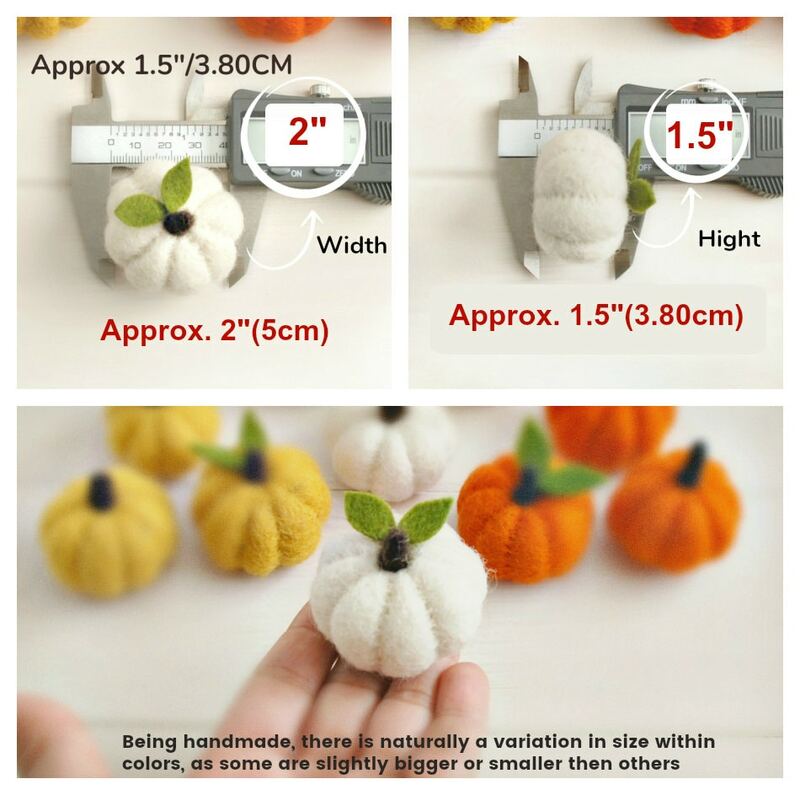 Great quality, so cute! Now I want to buy for all the holidays! These are perfect! Great quality!